The Martagon Lilies are just beginning to flower now. 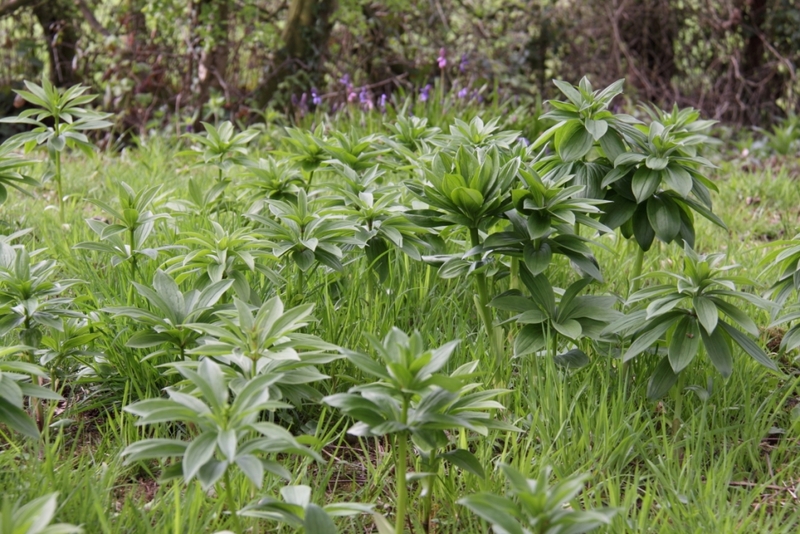 I collect the seed when it’s ripe and spread it around the Bluebell wood. I’ve been told that it takes anything from five to seven years for these plants to grow large enough to flower so I just scatter the seeds and let nature do the rest. It seems to work… we have hundreds of lilies now in various shades of pink, some speckled, some plain and a few pure white ones. 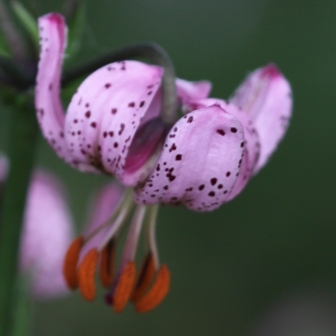 This is a bulbous perennial with strong erect stems reaching up to 1.2 to 1.5 metres. It’s a distinctive lily with leaves arranged around the stem in whorls and flowers with strongly recurved petals. Like all lilies Martagon lilies prefer well drained soil enriched with leaf mould or well rotted organic matter. They are ideal for a woodland situation and also suit cottage gardens and informal flower borders. Grow in full sun or partial shade. Most lilies fade away after four years… not this one. Martagon lilies live for years and years.